Designed by Christian Gobrecht, this coin features the motto “In God We Trust”. The horrors of the Civil War engendered great religious feelings in citizens and Rev. Mark Watkinson felt strongly that this motto acknowledged their concerns. It was the year 1835. 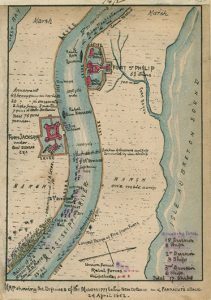 Large quantities of gold were being shipped overland to the East, only to be waylaid by bandits en route. So the U.S. Congress, in a moment of wisdom, declared that branch mints be established in three southern cities, including the grand dame herself: New Orleans. From its beginning, the New Orleans Mint was vitally important. 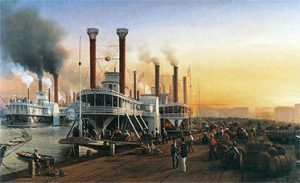 One reason is New Orleans’ location at the mouth of the Mississippi River, which made it pivotal for trading throughout the Midwest. Additionally, more foreign trade was transacted in New Orleans at the time than in any other city in America. Vast quantities of gold and silver minted in Mexico and South America flowed into the city. And then there’s the fact that there was simply a woeful shortage of coins at the time. 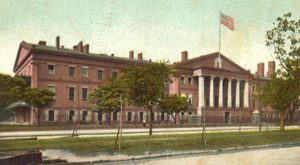 The Philadelphia Mint had been our nation’s only mint before 1838, the U.S. was rapidly growing, and—as we all know—paying for stuff in gold dust gets cumbersome after a while. Things cranked along without great incident at the New Orleans Mint until, in 1861, the Confederate States of America seized the facility from the state of Louisiana, which had seceded from the Union. This was one of the South’s first acts of defiance (if you want to make an impact, hit ’em in the purse strings). The mint struck four half dollars with a Confederate design on one side, but all coin production quickly stopped, as the facility suffered from dwindling resources and increasing disarray. After a little over a year of Confederate rule, the Union captured New Orleans and instituted a severe and unpopular period of martial law. The two-way hostility is perhaps best exemplified by this incident: a riverboat gambler climbed onto the roof of the mint, tore down the U.S. flag that hung there, and ripped the flag into shreds. The Union military governor of the city then had him hung—from a flagstaff projecting horizontally from the mint building. 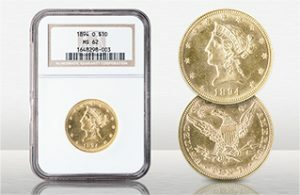 The mint building served as an assay office for a while, until coin production resumed in 1879 with the Morgan Silver Dollar and continued until 1909. Today, the mint building houses a museum. All New Orleans Mint coins have an “O” mark, and there are few surviving New Orleans coins in good condition—making them prized possessions for collectors. 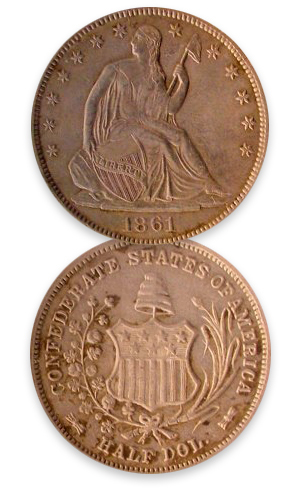 Interested in investing in a New Orleans coin? Being located in New Orleans, we at Blanchard happen to love them! Give us a call at 1-888-782-6405, and let’s see what we can do.